I had to do it, I know some said not to but I had to. 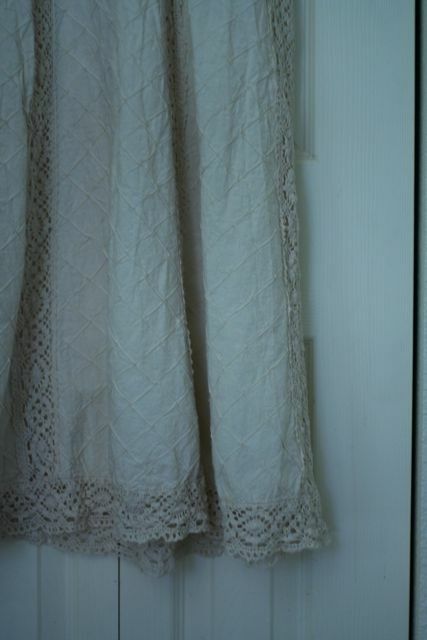 I posted last week about this beautiful Vintage Mexican Wedding Dress I found, I wasn’t sure what I should do with it. 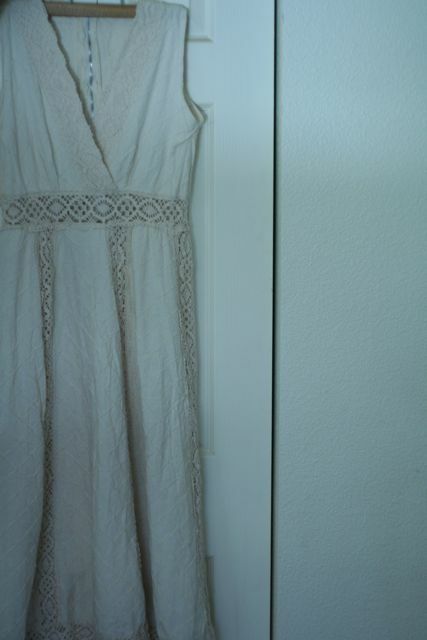 Someone left a comment, thank you Michaelann, that if I don’t do anything to it, will I wear it or get use out of it? And thinking about that question I thought, No, I probably would never wear it as is, so I decided to shorten it and take off the sleeves and I love it now. This was the dress I wore to my nieces wedding last Saturday. This entry was posted in Check this out!, vintage on August 2, 2010 by Deanna. It turned out sooo cute! Hmmmm, now you have me thinking! 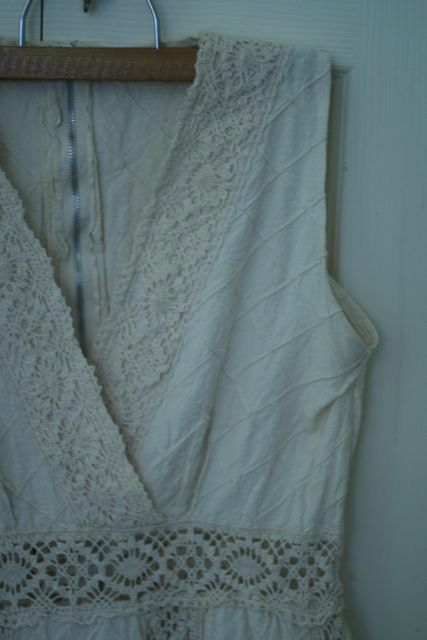 My old wedding dress is a Gunne Sac dress… of course it’s vintage now…. we got married in 1976! But I may have to do some alterations to maybe wear it again! Funny how if you leave things long enough you find ways to re-use! Great job, love it!! I am sure you received a lot of compliments on that one!! Oh I love it!! I think it looks even better this way!! I love it! I want to go find a similar dress and do something similar! 🙂 No use in having a beautiful dress if you won’t wear it….